Believe it or not there are many ways you can meet native Japanese speakers and practice with them! Some are free and others can get pretty pricey, but all are worth it if you put the time and effort into it, and you might even make some good friends out of it! italki is a fantastic website for meeting Japanese people! You can pay for teachers or find language partners for free! Skype is necessary so you can chat to people. Full review of italki.com here! Lang8 is a text exchange website for a number of languages including Japanese. You can type up anything in Japanese (diary entry, letters to people, things you’re interested in etc) and a native will read it and suggest changes and improvements which you can learn from. And vice versa, you can pick out English pieces that other people have written and correct them creating a positive language exchange. This is great for reading and writing, and you can make some good relationships with regulars. I admit I tried this for 2 weeks and then forgot about it for several years. If you want to keep it up set yourself one or two days a week that you will post a short article about a subject you’re interested in. Keep it interesting for you rather than a chore and you will reap the benefits greatly. Is a site where you can meet natives living in your area and meet them in person, or over e-mail/skype. You create your own profile saying where you live, your native language and the language you want to learn, along with a short intro (best to do in both languages). You can then search for people, or they search for you, and say hi. If you want to message you have to pay for a small monthly fee which is annoying, or you can do what I did and just say hi and hope they message back. You can then meet people in your area or just e-mail/skype them. You don’t have to meet them if you feel uncomfortable doing so, and if you do meet always do it in a public place. All the experiences I had meeting people through this site were in Fukuoka, Japan which is an incredibly safe place and I NEVER went to their homes or anywhere that wasn’t public. It’s great to meet new people but safety first! This is great for speaking Japanese. If you’re not confident with Japanese try really hard to speak it anyway even if their English is really good. Or arrange it so you have some time talking Japanese and some time talking English. Meetup is a great way to meet Japanese people if you’re living in Japan, and possibly outside of Japan depending on where you live. You might live in Seattle or London which has a high Japanese population or out in the middle of nowhere with no way of getting to a big city in which case you’re kinda stuffed. BUT if you do live in a place with lots of Japanese people there might be a meetup group specially dedicated to meeting Japanese people or culture and vice-versa they can meet native English speakers to practice English with. I did this while I was in Fukuoka and it was great fun. Always in a public place like a cafe too. Local universities (if you live in a town with one) will often have clubs or general meets, or even just Japanese students you can meet up with. It’s normally best to track them down yourself via the Uni website or google (because University sites aren’t often that great for current students). Local classes can be costly at around £21 an hour, but are worth it if you have the spare cash. Often there are private teachers that do one-to-one classes (which is how I started), but sometimes a local university will have classes often for students at about £250 for a term which works out cheaper than private lessons (but Uni teachers will sometimes teach privately on the side as well so it can’t hurt to e-mail them and find out). 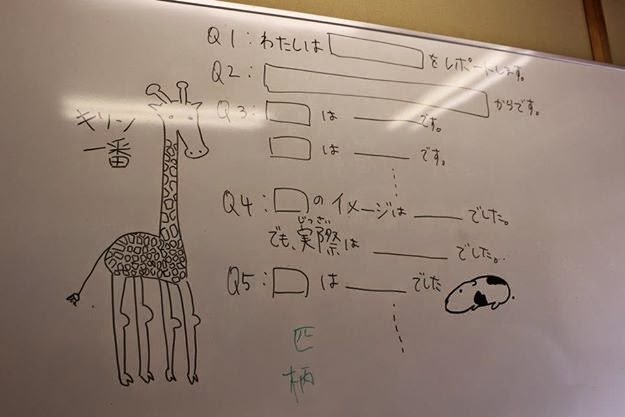 The great thing about having classes, even if it’s only 1 hour a week, is that you get to practice with a native speaker and ask questions that might not be so easy to explain online. It’s a great motivational tool as well. If you do have classes don’t forget to keep up the self study otherwise learning will be very, very slow. If you’re serious about getting fluent it’s worth putting money aside and going to Japan for at least a month to study at a school. Often schools will only have classes in the morning so you’re free to explore the area of the Japan you’re in most days. It gives you focused study time as well as the ability to practice outside of classes as you’re surrounded by Japanese. And you have more chances to meet Japanese people via mylanguageexchane and meetups. I’ve been fortunate and saved a lot of money to do this 3 times. Twice was with private schools and the other was with University on a study abroad. I don’t think I’d be as good as I am not if I hadn’t taken the chance to go out there to study. It’s awkward at first but still great practice to practice with other Japanese learners who aren’t necessarily natives. They are probably easier to find in your area and can boost your confidence. Perhaps a friend of yours has Japanese friends that are willing to become penpals, skype friends, or meet in person? As always when you’re meeting people you don’t know through the internet be careful and use common sense! Meet in public places during the day. Don’t drink with them. Don’t go home alone with them. If they get creepy stop contact with them. This includes when you speak to them online. One Japanese person started chatting to me on facebook, turned out he was a 40 year old man who only befriended girls. I didn’t risk it and blocked him straight away. But like I said, I’ve also made some amazing and wonderful friends though Uni clubs, my language exchange and meetups and learnt a lot through them as well.